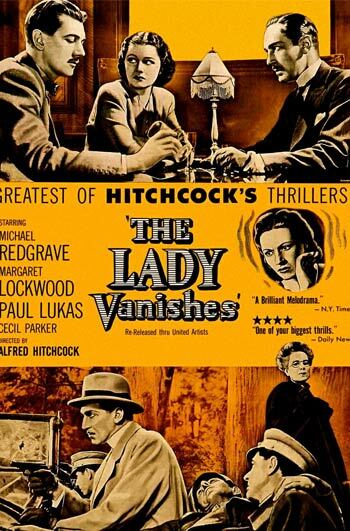 The Lady Vanishes – 80th Anniversary! This film is a part of a Double Feature with Dial M for Murder. When two movies that are screening in the same theatre are grouped under the same thematic heading, one ticket is good for both features when viewed back-to-back on the same day (except as noted). Margaret Lockwood, Michael Redgrave, Paul Lukas, and Dame May Whitty. This classic of Hitchcock’s “British period” stars Margaret Lockwood as a rich young tourist who discovers that the old lady she was sharing a train car with has vanished under mysterious circumstances. You won’t see the twists and turns coming in this mesmerizing thriller!